The District at Linworth in Worthington, Ohio, lets you live any kind of life you want. This apartment community puts you close to everything Columbus has to offer, while offering stunning perks and amenities at your doorstep. The District at Linworth offers a library, a movie theater, a Starbucks coffee bar—even a CrossFit gym with 24/7 access. When you live here, you’re truly the master of your domain. It’s an urban oasis. 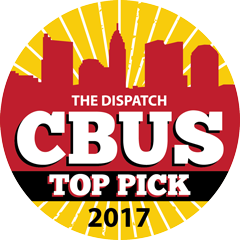 Every year, people around Columbus vote for their favorite businesses in and around the city to be named CBus Top Picks. This year, The District at Linworth took home the award for #1 Best Apartment Living. We’re honored to win, and also happy to know that the rest of Columbus now knows what you know—that the District is a pretty great place to live. Thanks to all who voted!